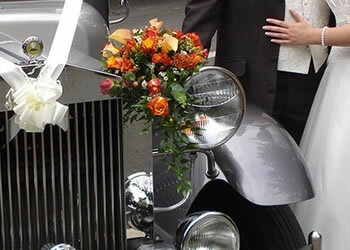 We’d like to congratulate you on your forthcoming wedding, and invite you to spend a few minutes seeing how we help make Wedding Day dreams come true with our stylish, immaculate and prestigious wedding cars. Please browse at your leisure. 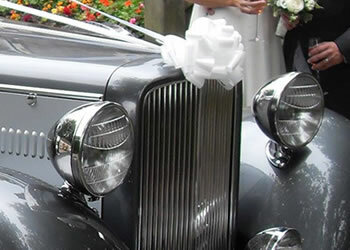 See our range of Royales and Imperials, we have a choice of immaculate wedding cars, some of which date back to the style of the early years of the last century, and which have been lovingly cherished so that present and future generations may enjoy them. 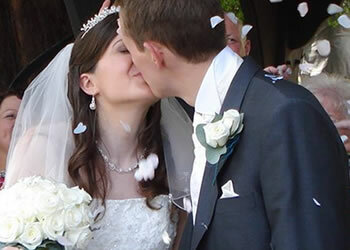 Manor Bridal Cars’ service extends beyond merely transporting the party to the wedding and reception: our cars make excellent additions to wedding photographs helping you to create unforgettable memories of your special day.